This cracking new font bundle from Design Cuts is a star buy for both beginners and design veterans. If you’re just starting out, the ability to acquire a large font library worth $1,721 for just $29 is a massive advantage. It will set you up with 20 top quality font families that include over 200 individual fonts in a range of different styles. If you’re an established designer who might have bought some of the previous font bundles I’ve recommended, this new collection still has loads to offer. 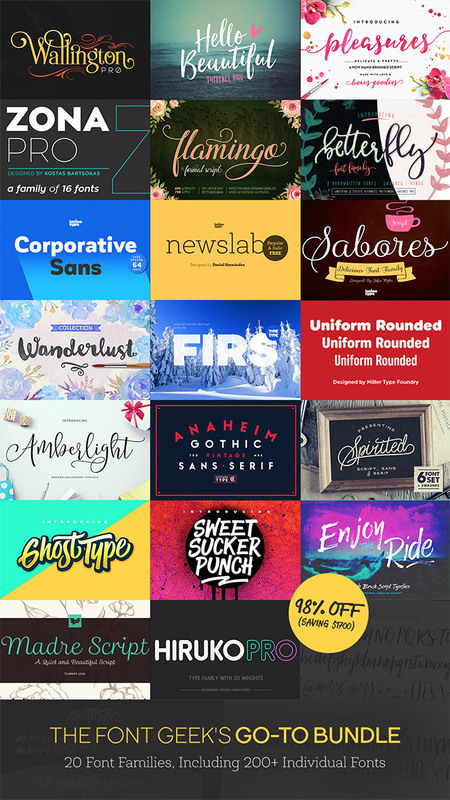 Not only is the 98% discount hard to pass up, the bundle actually contains siblings and continuations of popular typefaces you might already own. For instance, the Wanderlust Collection contains 8 supporting fonts to the original Wanderlust font; Corporative Sans is the best-selling sibling of the smash-hit Corporative; and the popular Uniform font has now evolved into Uniform Rounded, giving you the perfect choices when picking complementary font pairs. 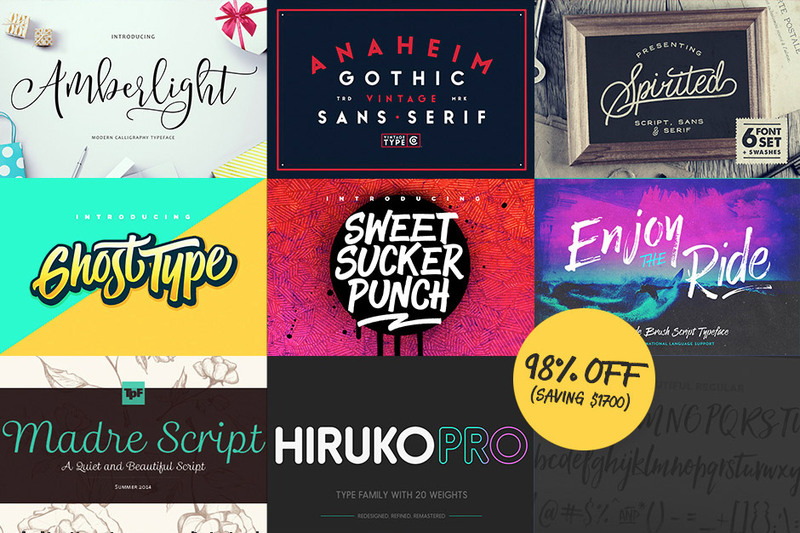 The Font Geek’s Go-to Bundle is currently on offer at 98% off, giving you the opportunity to grab a font collection worth $1,721 for just $29. You’ll get 20 comprehensive, top quality font families that between them contain over 200 individual fonts. This gives you precise control over your typography so you can find the best font to portray the right message, or make the perfect font pairs with good contrast between weight and style. Well with your permission allow me to grab your feed to keep up to date with forthcoming post. Thanks a million and please keep up the gratifying work. It is very genuine and evident for those photography addicts that are directly into capturing this nature’s exciting scenes : the mountains, the particular forests, the wild or even the seas. Visiting these adventurous places undoubtedly requires a DSLR camera that can meet the wild’s hard area. I’d should test with you here. Which isn’t something I often do! I get pleasure from reading a submit that may make individuals think. Additionally, thanks for permitting me to remark!